From this photo you can't tell that this platter is 21 1/2" in diameter. It's quite large. I found this primitive style resin platter at a local thrift shop recently. 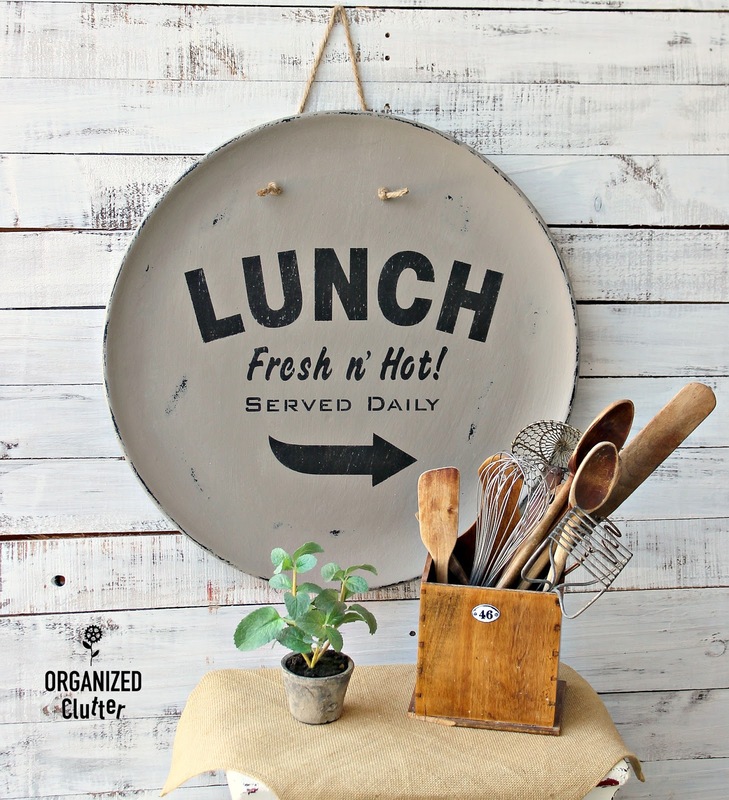 I used to be a huge fan of prim country, but lately I have lightened up my country style to be more in line with farmhouse style. First, I base coated the platter with Rustoleum American Accents in Canyon Black. Just one coat. Then I brushed on two coats of Annie Sloan Chalk Paint in French Linen. I wet distressed the chalk paint with a terry rag. This way only the chalk paint comes off and not the black undercoat. 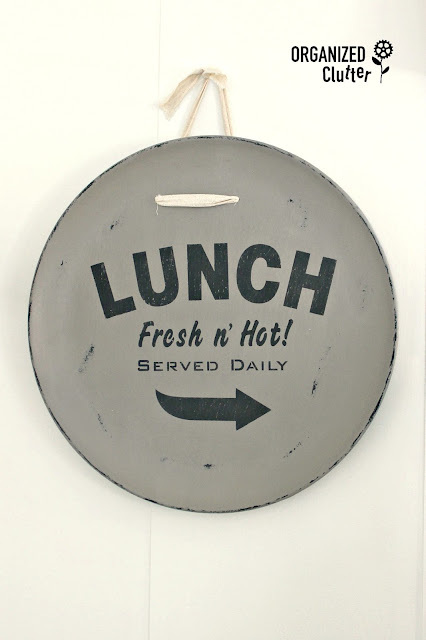 I decided to stencil the platter with the Lunch Fresh n' Hot Stencil from *Old Sign Stencils. 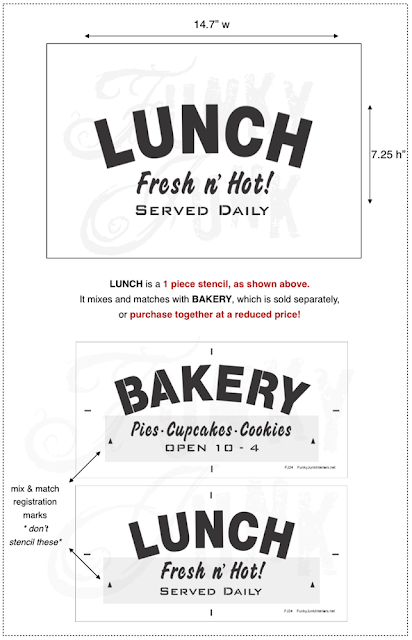 I used the arrow from the Winter Graphics Stencil under the Lunch stencil. I pounced on the lettering with a large natural bristle stencil brush and black craft paint. I sealed my stencil and chalk paint with Varathane Matte Water Based Poly. I then drilled two holes at near the top of the platter and pulled through a torn strip of unbleached, coarse weave muslin for hanging. Update: I removed the muslin and added a jute hanger. Carlene, I just ADORE this project! 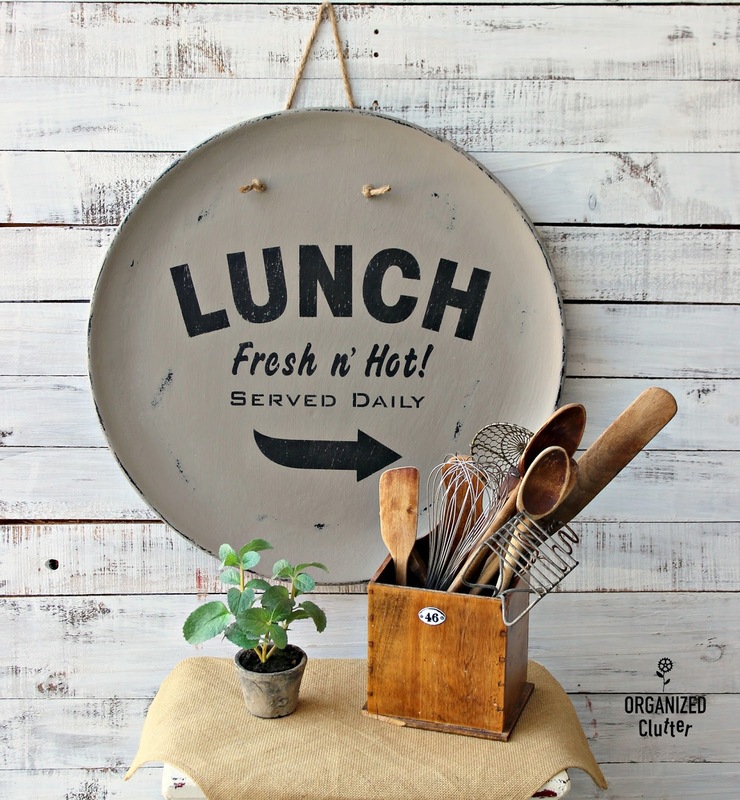 The fact that you're dishing out lunch on a plate? Even BETTER! :) So creative, AND beautiful! And always, thank you for your generous mention of the stencils! Very cute! 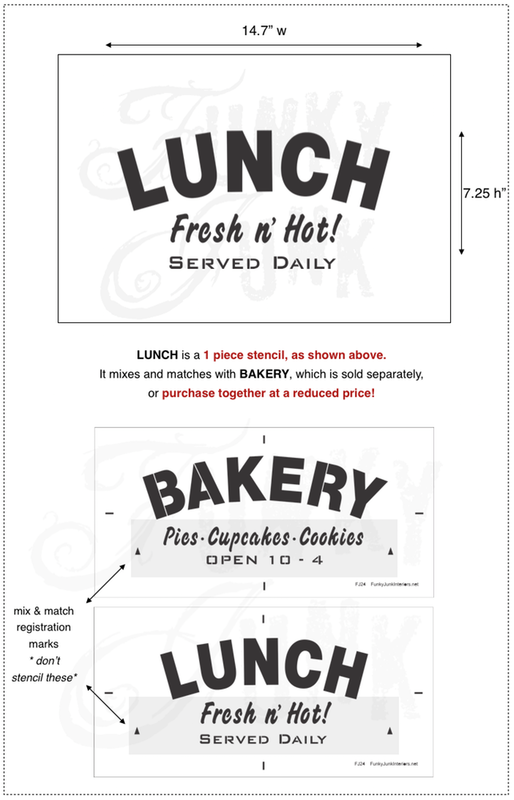 Love the lunch stencil. That's a perfect way to re-use that plaque! It turned out great!